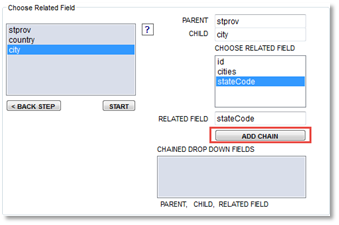 This is where you can define fields that are of type memo (text in MySQL) as HTML Area fields. 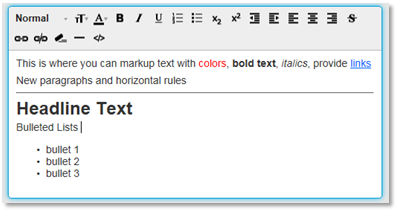 HTML Area fields provide the ability to markup text as bold, italic, choose fonts, colors, bullet items, horizontal rules, tables, center text, include images and hyperlinks. We also support the popular tinyMCE HTML area script. TinyMCE now supports linking to their files through CDN (Content Delivery Network) or you download their package from their website www.tinymce.com. The default option for Data Asap will be to use the CDN option. If you choose to download their package then you will need to specify the path to the package and upload on your own using ftp. We support two different configuration of tinyMCE which are Basic and Advanced.